GREAT BAY, (DCOMM) – Dehydration occurs when your body loses more fluid than you take in, and this Easter holiday weekend, where a lot of outdoor activities take place, the current hot and dry weather can make you very thirsty. When the normal water content of your body is reduced, it upsets the balance of minerals (salts and sugars) in your body, which affects the way it functions. 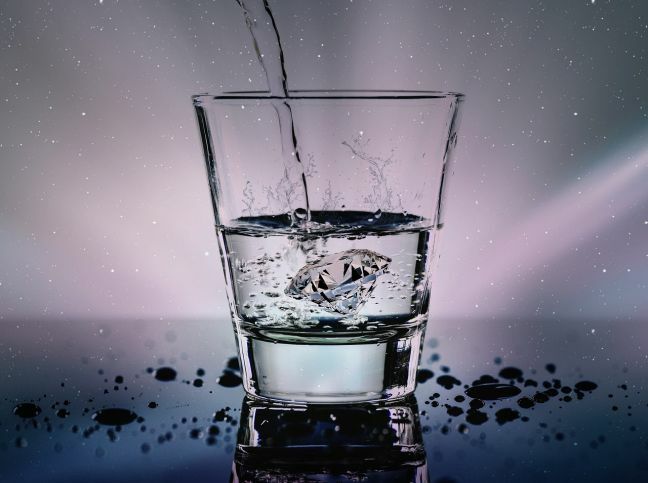 Collective Prevention Services (CPS), a department within the Ministry of Public Health, Social Development and Labour, is advising the community to make sure they drink lots of water during the Eastern holiday weekend. Dehydration is usually caused by not drinking enough fluid to replace what we lose. The climate with respect to very hot days, at the beach, the amount of physical exercise you are doing (particularly in hot weather) and your diet can contribute to dehydration. Anyone can become dehydrated, but certain groups are particularly at risk. These include: babies and infants – they have a low body weight and are sensitive to even small amounts of fluid loss; older people – they may be less aware that they are becoming dehydrated and need to keep drinking fluids; people with a long-term health condition – such as diabetes or alcoholism; and athletes – they can lose a large amount of body fluid through sweat when exercising for long periods. Water makes up over two-thirds of the healthy human body. It lubricates the joints and eyes, aids digestion, flushes out waste and toxins, and keeps the skin healthy. Some of the early warning signs of dehydration include: feeling thirsty and lightheaded; a dry mouth; tiredness; having dark coloured, strong-smelling urine; and passing urine less often than usual. A baby may be dehydrated if they: have a sunken soft spot (fontanelle) on their head; have few or no tears when they cry have fewer wet nappies; and are drowsy. The body is affected even when you lose a small amount of fluid. CPS wishes the community and a safe Easter holiday weekend and to drink lots of water to avoid becoming dehydrated. Consult your physician if you think you or your child is dehydrated. As families prepare to enjoy the various Easter water activities, CPS is advising parents and guardians to be vigilant when their kids are in the water having fun this Easter holiday weekend at the beach or pool. 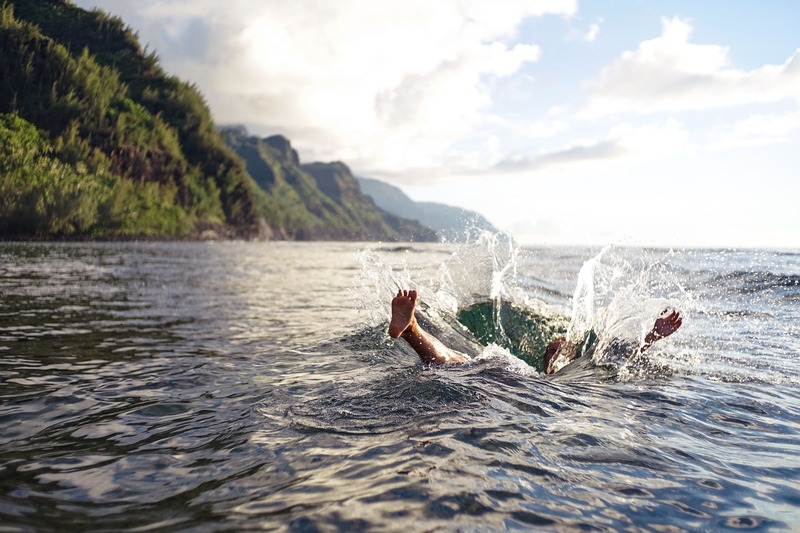 Drowning is among the five leading causes of death among people aged 14 years and under in the Americas, according to the first Global Report on Drowning: Preventing a Leading Killer, published by the World Health Organization (WHO). Some strategies that can be used to prevent drowning are: installing barriers to restrict access to bodies of water; close supervision of infants and children under five; teaching children basic swimming skills and training possible bystanders in safe rescue and resuscitation. SINT MAARTEN/ARUBA – Police on the Dutch Caribbean island of Aruba have arrested a Dutch national carrying over €800,000 in cash on money laundering charges, broadcaster NOS reports. The man, about whom police will only say he is 39, was born in Suriname and lives in Amsterdam, was on his way to Miami. He was taken into custody during a scheduled landing on Aruba at the request of the Dutch public prosecution office. 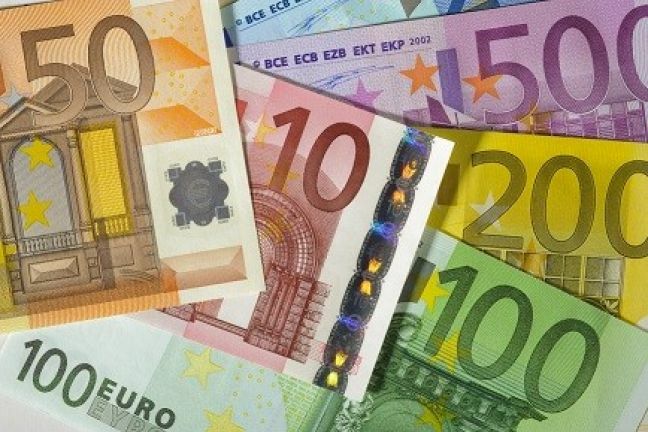 In May a transfer of some €19m from Surinamese banks was intercepted by the Dutch justice department in connection with a money laundering operation, NOS Suriname correspondent Harmen Boerboom said. Banks have become wary of exporting euros since then and that means a ‘glut’ of euros has diminished the value of the currency. ‘It is now a lucrative business to transport cheap euros from Suriname and exchange them for dollars which are then used to buy more cheap euros’, Boerboom said. 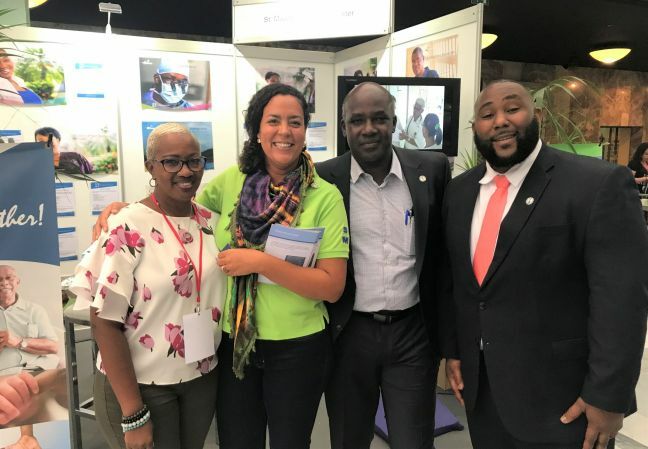 SINT MAARTEN (CAY HILL) – St. Maarten Medical Center (SMMC) will be attending the upcoming FRED Expo at the World Trade Center in Rotterdam (Holland) on May 11th, 2019 in an attempt to fill critical vacancies. FRED is the only recruitment event aimed at Dutch Caribbean nationals living in Holland, and the wider Benelux area, and will be attended by dozens of companies established on the Dutch Caribbean islands. SMMC will attend the recruitment expo in an effort to showcase that St. Maarten needs qualified persons, preferably with a strong connection to the island, that can contribute their expertise. “The vacancies are open to any qualified local candidate. However, when we cannot fill the vacancies locally, we always try to recruit personnel that have roots on St. Maarten or a strong personal bond, preferably that have lived here and went to study abroad but want to come back home”, says Hester Versleyen who oversees SMMC’s strategic partnerships and the recruitment of medical specialists. “That’s why FRED is a such great event to meet young St. Maarteners that are currently studying or have completed their studies and are contemplating to return home. Now more than ever, we are looking for St. Maarteners abroad that want to contribute their expertise and thus help St. Maarten build back better”, says Versleyen. A great example of recruiting talented St. Maarteners is the recent joining of Dr. Damien Wilson as SMMC’s First House Officer. “That is our main goal and is a win-win for all involved, concludes Versleyen. Apart from having a booth at the event, where interested candidates can come and exchange information, SMMC will also be giving a company presentation delivered by Dr. Felix Holiday, SMMC’s Medical Director. All interested candidates are urged to come out and attend FRED and especially attend the company presentation as they will have an opportunity to learn about SMMC’s continued efforts in providing quality care, close to home and pose questions to Dr. Holiday during the Q&A session of the presentation. SINT MAARTEN (COLE BAY) – There is a large influx of Sargassum seaweed currently making landfall on Sint Maarten. The Nature Foundation is warning the community that the Sargassum impacts, based on satellite imagery and field surveys, started earlier this week and will continue to persist for at least another week: “We have been coordinating our monitoring efforts with our partners in the region and based on weather predictions, satellite imagery and field surveys large mats of Sargassum are impacting the area,” commented Nature Foundation Manager Tadzio Bervoets. “We have been working closely with our partners in the region and with local stakeholders in monitoring the situation and to find a way to control the amount of the weed washing up on beaches in the case of a significant influx. In the case of an influx we need to find a way to coordinate the removal of the seaweed in order to avoid serious risks to nesting sea turtles and hatchlings while the algae itself can be a hazard to the animals,” continued Bervoets. The Foundation is also warning residents of areas that are or will be impacted by the Sargassum to take precautions to avoid the negative health effects caused by the decomposing seaweed; “We are advising residents in especially Guana Bay and Point Blanche to keep windows and doors closed as much as possible,” commented Bervoets. Sargassum is a genus of brown (class Phaeophyceae) seaweed which is distributed throughout the temperate and tropical oceans of the world. 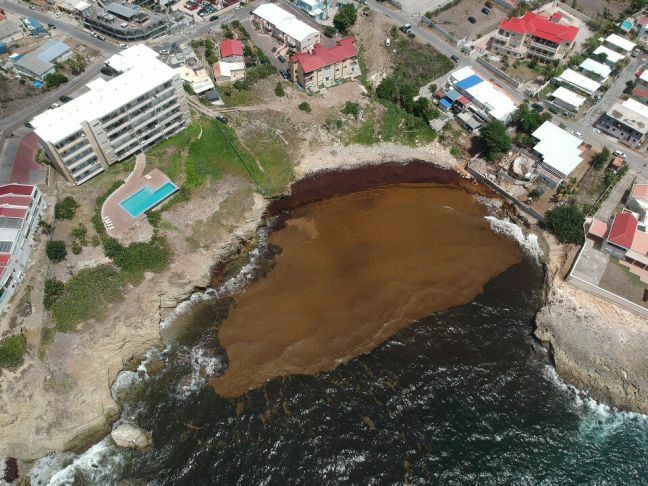 Sargassum first plagued St. Maarten in 2011 and 2012, with the Foundation having to warn swimmers to avoid swimming on certain beaches due to the large amount of Sargassum Weed and many beach front residences and hotels having to continuously clean washed up Sargassum. The Nature Foundation will continue to monitor the situation and will coordinate with the public sector if and when the removal of Sargassum should occur. 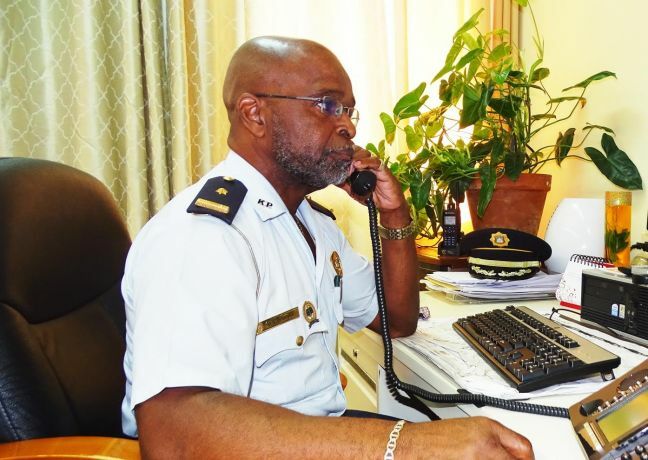 SINT MAARTEN (PHILIPSBURG) - As we are all aware the 50th Carnival Grand Celebrations are rapidly approaching, and the opening of the Festival Village is set to take place this coming Saturday April20th 2019, the police said on Wednesday in a statement. “Leading up to the grand opening of the opening of the Festival Village we have had four Jump- ups that have taken place without any major incidents and the KPSM (Ed Sint Maarten Police Force) team would like to congratulate the community on a job well done thus far. We ask that the community and visitors alike to maintain this same positive energy moving forward. “The opening Jump-up is to take place this Saturday, will begin on St. Peters between Apricot road and LB Scott Road at 8.00 p.m. sharp and will end at the festival village before mid-night. As a safety measure the entire community and mainly vendors along the route of the jump-up are urged not to use or serve any beverages in glass bottles. Be Alert to suspicious people and vehicles. SINT MAARTEN (SIMPSON BAY-AIRPORT) - On Monday April 15th a male suspect identified with initials S.G. was arrested by the Alpha Team at the Princes Juliana International Airport in connection with an ongoing drugs related investigation, police said on Tuesday in a statement. 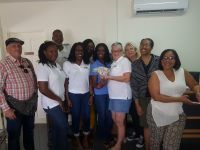 SINT MAARTEN (PHILIPSBURG) - The Happy Bookers Book Club proceeded on Saturday, April 13, 2019 to make a presentation of the funds collected during their fundraising breakfast on February 23, in favor of the annex of the Médiathèque (youth section) in Concordia and the Philipsburg Jubilee library, a Happy Bookers Book Club press statement said on Tuesday. “The sum of $ 1324.72 raised was shared equally between both libraries. Each library receiving half of the funds raised. 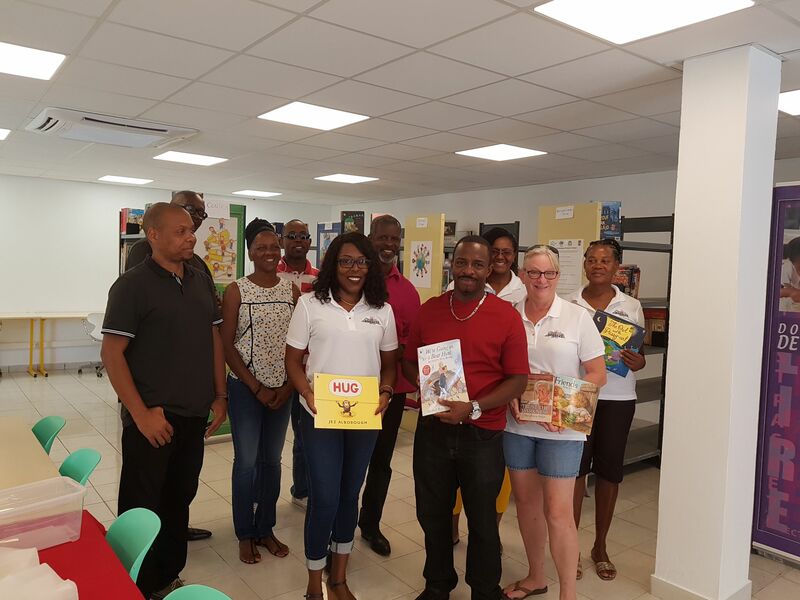 “In the presence of Mr. Richards Alex, Mr. Javois Patrick and Ms. Helissey Line and all the staff of the Mediateque, the club donated 62 new Caribbean and English books. The Mediateque favored this material donation rather than a financial donation because these books are difficult to procure in the public bidding system. The club also donated used books. “At the Jubilee Library Mrs. Irmin Hughes, Mr. Lucas Pyt and the staff gathered to receive the financial donation. These funds will finance the expansion of their e-Library. “The annexes of the Mediateque will be open to the public very soon. The Concordia Annex (youth section) is located at 31 rue Jean Jean Fayet. The French Quarter Annex (all public) is located in the Conseil de Quartier building next to the stadium. “The Jubilee Library is presently open to the public in a temporary location at # 3 Walter Nisbeth Road in the Adolphus Richardson Building. “When a, internet user asked the club "why donate to public institutions? The group responded "We are very convinced that we have to do something to help these libraries fulfill their main mission of serving the public. It’s not about Politics it’s about Community"
“The club would like to thank the public and the local press for their support of our fundraising breakfast, as well as all of those who donated used books to us,” the Book Club press statement concludes. The club is open to everyone. To join the club call 721 520 1899. 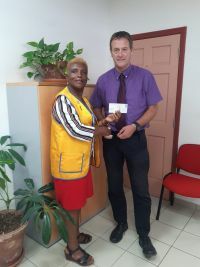 SINT MAARTEN (SOUTH REWARD) - Mr. Wim De Visser, the director of Milton Peters College (MPC) and Sundial Schools, received a cheque of US$ 550.00 from the St. Maarten Lions Club towards the annual Milton Peters College annual Extreme Survival activity, the Club announced on Tuesday. “The donation is towards purchasing the t-shirts as they host their 15th, Extreme Survival. Over the past years, the Sint Maarten Lions Club has donated towards the MPC Extreme Survival activities. “We started out years ago by preparing sandwiches, oranges and drinks for the participants and today, we are happy to assist with purchasing the t-shirts for these years’ participants. The event is planned for Saturday April 13, 2019. The Lions club wish the participants much success,” the Lions Club media statement concludes. SINT MAARTEN (PHILIPSBURG) - Over the last two weeks, Mr. Jacob “Sjaak” Seen, Multidisciplinary Operational Team Leader of the United Nations Disaster Assessment and Coordination (UNDAC) team facilitated a concentrated two-week Disaster Response Course for K1’s Disaster Relief and Crisis Team (DIRECT). Over 40 participants including persons of K1 DIRECT Curacao, K1 DIRECT St. Maarten, Windward Islands Emergency Medical Services (Wiems), Dutch Caribbean Coast Guard, members of the Fire Department, and Emergency Support Function 7 (ESF7) have now completed the training, having gained the skills and knowledge needed to effectively administer relief in the wake of a disaster. In 2017, Hurricane Irma devastated the island of St. Maarten and K1 Britannia Foundation played a key role in first response, mass distribution and other forms of relief and aid. 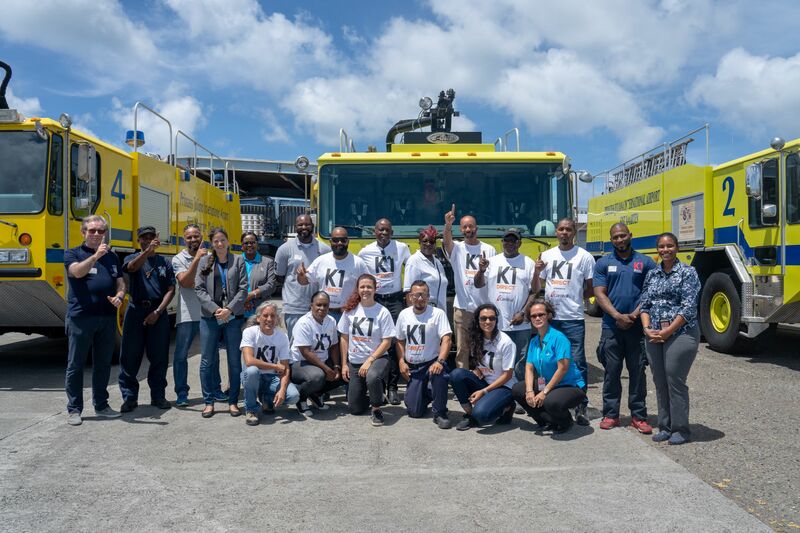 Sjaak came to the island via UNDAC to support the Government of St. Maarten with disaster coordination during that time and formed a bond with K1. This bond developed over time, which enabled him to come back and donate his time to share his expertise with K1 DIRECT and other local organizations who play key roles in disaster relief. The trainings took place at the American University of the Caribbean School of Medicine (AUC) and the Government Administration Building over the course of 12 days at no cost to the foundation. Sjaak provided essential trainings for the participants on the topics of Principles of Humanitarian Aid, Humanitarian Mission Cycle, Search & Rescue, Crisis Management, Information Management, Reception & Departure Centers and Emergency Logistics. These elements were all broken down into step by step procedures of a complete mission cycle pertinent to an affected population. K1 DIRECT also visited the Princess Juliana International Airport (PJIA) for a site visit as part of the trainings. Roxanne Howell - Financial Controller of the Ministry of VSA/ ESF7 Office Coordinator stated, “The ministry welcomes the initiative of K1, one of the partners of ESF 7, as it addresses important issues and will strengthen our collaboration efforts and ensures that together we can become more resilient.” K1 DIRECT has committed to specific predetermined roles under ESF7 within the disaster management structure of the Government of St. Maarten. Sjaak has a reputable background in global humanitarian aid, prior to his position at UNDAC, he worked with Urban Search & Rescue (USAR) in The Netherlands, among others. His background has allowed him to tie real-world experiences into methodology while stressing the importance of group work. K1 DIRECT’s founding sponsors, who help to make training courses such as this possible, are Carnival Cruise Line and the Dutch Disaster Fund. K1 DIRECT would also like to thank Shieka’s Bistro, Freegan Food Café, PJIA, Simpson Bay Suites, AUC, Government of St. Maarten and especially Sjaak for all efforts and contributions made in making this training possible. Group photo at the Fire Department at PJIA after the site visit. SINT MAARTEN/THE NETHERLANDS – A group of journalists have launched a mass freedom of information campaign in an attempt to chart Shell’s political influence in the Netherlands. 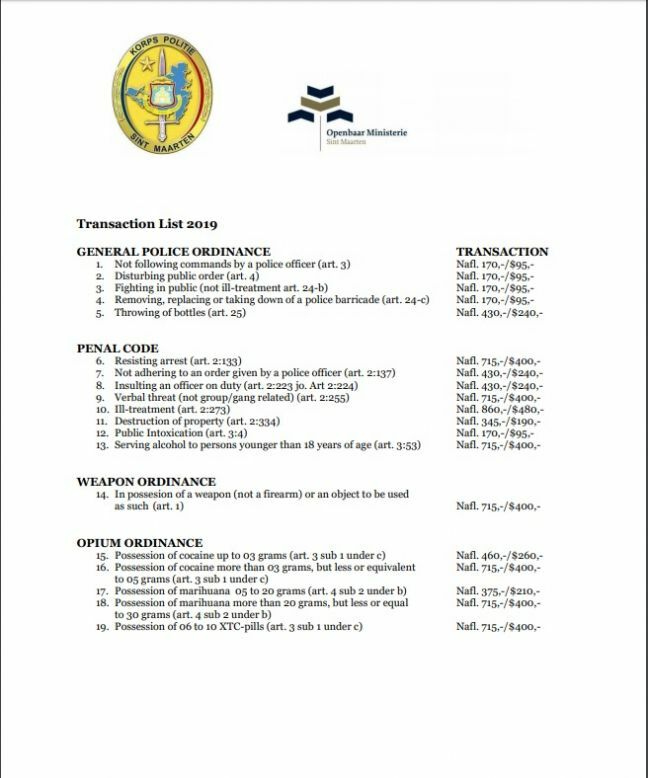 Requests have been submitted to 17 government institutions – nine ministries, three provincial administrations and five municipalities – asking for all documents originating form or relating to the oil company. The Platform Authentieke Journalistiek (PAJ) submitted the requests in association with investigative website Follow The Money (FTM), which will publish the results on its website as the Shell Papers. It has set up a dashboard where the documents will be uploaded in full as they come in and which allows readers to track the progress of all requests for information made under the freedom of information law or wet openbaarheid van bestuur (WOB). On its website, FTM said it wanted to establish ‘the influence of Shell on Dutch public administration regarding, for example, economic, financial, international, environment and even education policy’.